Thanks Leanne, for having me as well as my MadMan MacKeefe heroes here today. I want to start out by saying that these three Scottish Highlanders are from the MacKeefe clan, best friends, and more or less crazy. I’m going to ask them each a question or two and let them tell you about themselves. Onyx: Och, ye would have te ask me aboot thet. Well, all I have te say is thet me own faither thought I was a demon when I was born and hated me since he blamed me fer me mathair’s deith. Anyway, he put me in a box and ordered a guard te throw me inte the ocean. Elizabeth: In all fairness, your father thought you were dead. Onyx: True. It’s becooz o’ me spells of anxiety when I get anxious or stressed thet he thought I was deid. Me heart almost stops beatin’ and I stop breathin’ and me eyes are starin’ wide open. Thet scares most people since I have demon eyes, no’ te mention, they dinna ken thet I’m no’ really deid. O’ course, thet was really a bad thing when I got thrown in a cart o’ deid plague victims, but I survived. Elizabeth: Thanks Onyx, or I should say Dagger, since that’s what your friends call you since your father put an onyx dagger in the box with you that day. My next question is for Aidan, from Aidan – Book 2, of the series. Aidan – can you tell the readers about your strange pet? Aidan: Elizabeth, me pet squirrel, Reid is no’ as strange as Dagger’s pet wildcat or Ian’s mangy wolfhound. Ian: Me hound isna mangy ye dunderheid! Elizabeth: No interruptions, Ian. Now, Aidan, tell us about the Stone of Destiny and your part in that ordeal. Onyx: Ye mean thet he lost Scotland’s coronation stone? Aidan: Haud yer wheesht ye two. And quit interruptin’ me. The truth is I used the Stone of Destiny as me pillow and had a dream o’ a reid-haired angel. True, I was supposed te be guardin’ the stone, but Effie tricked me! And if the readers want te ken what happened they’ll jest have te read the story. Elizabeth: Fair enough. Now, my last question is for Ian. Tell us about the vision you saw in the Samhain fire on All Hallow’s Eve. Ian: It was more than jest a vision, Elizabeth. It was the face o’ Tearlach MacTavish, a man I hated more than anythin’ and killed – or so I thought. Ye ken thet the veil between the worlds is lifted on All Hallow’s Eve and the deid can come back te life. Aidan: Are ye sure ye jest dinna ken how te fight and kill like a man? Ian: I’ll show ye how I fight when I have ye screamin’ like a lassie when I get ye inte one o’ me headlocks. Elizabeth: Calm down, boys. Now, one last thing, Ian. Tell the readers whom you fell in love with. Ian: Blethers, I had no idea, Kyla, Aidan’s wee sister liked me when she kept followin’ me around. Especially since we grew up together. But the readers can find out more aboot this in me story – Ian – Book 3. Elizabeth: All right, guys. Thanks for joining me here today and try not to kill each other. After all, don’t forget you are friends. 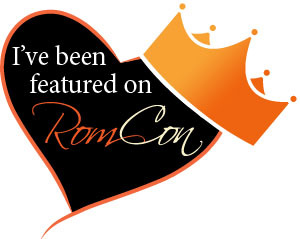 And I want to point out that anyone can read excerpts of Onyx, Aidan and Ian’s stories by going to my website at http://elizabethrosenovels.com. 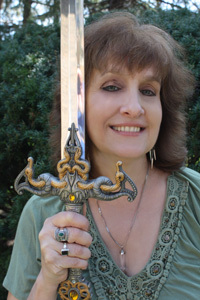 Elizabeth Rose is the author of over 30 novels. She loves anything paranormal or medieval and hopes to someday visit the castles of England and Scotland. She lives in the suburbs of Chicago, is married and has two sons. She loves gardening, has an herb garden as well as a secret garden, and enjoys grilling and inventing new recipes. Some of these recipes can be found on her website, part of her ongoing project. 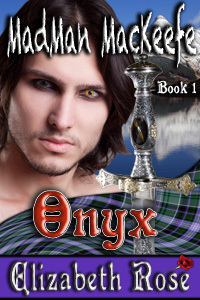 Onyx – Book 1: Can Lady Lovelle, a proper Englishwoman and Onyx, a mad Scottish Highlander work together to find a stolen Book of Hours before a death and impending doom overtake them? Deceit is evident and hidden secrets are revealed in Onyx. Aidan – Book 2: Scotland’s coronation stone, The Stone of Destiny has been taken. Now Aidan is willing to die to protect his country, while Effie is willing to betray her country to save her sister’s life. Beliefs are shattered as desires grow stronger and someone’s destiny is bound to change in Aidan. Ian – Book 3: Can Ian overcome his tormented past when a man he’s killed rises from the grave? And will he notice that Kyla, his best friend’s wee sister is a strong, beautiful woman before he loses her forever? A desperate man faces more than one inner demon in Ian. All books are also available at Barnes and Noble, Apple and Kobo. Thanks for having me, as well as my Scottish heroes, Onyx, Aidan and Ian as your guests today, Leanne!